These are are friends Lee & Becky Plummer! 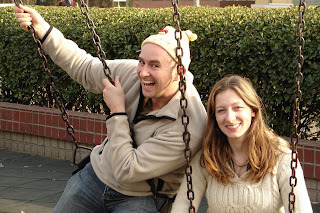 Since in China Jeremy & I have become friends with Lee & Becky (pictured here). (Lee is wearing Anna’s hat.) We have had some great times with them and they have been very encouraging!